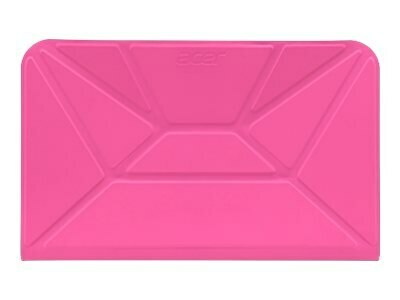 Keep your Acer Iconia A1-830 tablet safe from the wear and tear of everyday handling with a stylish pink crunch cover. It is made from durable microfiber with a soft interior to prevent scratches. It quickly transforms for reading and typing. It is lightweight and protective with a slim fit. All tablet features are easily accessible.